Throne of Glass is the first novel in what I like to call ‘The Assassin Series.’ With 5 pre-quill novellas and 2 additional scenes that take place between book one and book two (Crown of Midnight released August 2013), Maas clearly enjoys working with her strong female protagonist, Celaena Sardothien – a passion that shines through in her writing. 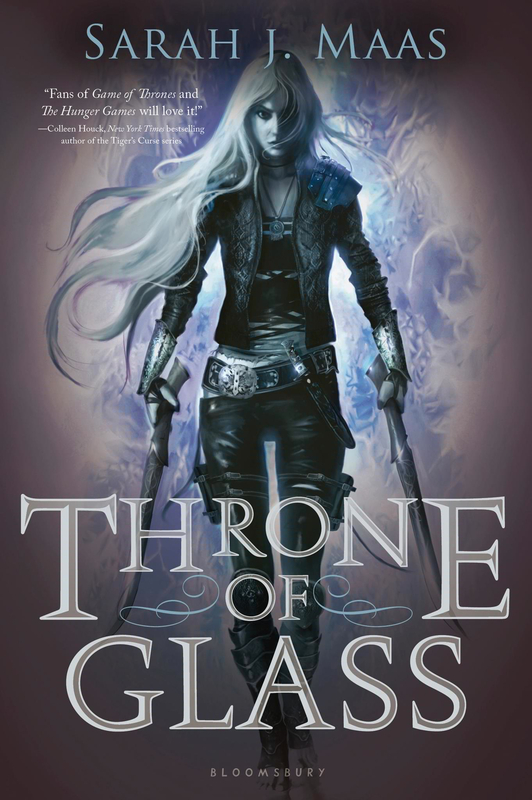 Throne of Glass is the story of an 18 year old assassin faced with a dilemma: how to survive after being released from a Death Camp by the son of the King who sentenced her… follow orders or run? While Maas identifies herself as a Young Adult Fantasy writer, her work falls nicely into the emerging sub-genre New Adult. With a protagonist and supporting characters older than 17, this immediately places her books into the realm between YA and Adult Fiction. Her work further exemplifies the core mantra of this new genre by having her protagonist, Celaena, face challenges such as a new beginning, an adult romance, and making friends in a new work environment. The fact that there is a secret wound in her past she refuses to reopen not only adds intrigue but reinforces that there is much she need to understand about herself before she can hope to move forward. And she’s not the only one battling the consequences her past might have on the future. Celaena is only one of a host of characters fully brought to life by Maas. Her masterful depiction of the absentee King through the eyes of those related to him, who work for him, pander to him, hate him, and revere him blend together to create a truly imposing presence; readers will not be disappointed when the power-house megalomaniac who sits upon the throne of glass finally makes his presence felt. The incredible connection readers build with the characters creates the illusion of effortlessness in the development of the story. Maas doesn’t use parlor tricks and successive cliff-hangers to keep readers turning pages. We are not compelled to read the next chapter because we are left unsatisfied by the lack of a conclusion to a previous chapter – no. Readers will connect and have a vested interest in the outcome of the plot and various subplots, delighting in turning each page to learn more. Celaena’s world is a familiar one to readers of fantasy – a world divided by a malicious conqueror: those under his rule and those opposing his rule – which Maas’ imagination infuses new life into. The driving force behind the motives for each character act as launching points for readers to wonder what will happen next. With a dash of romance, a splash of evil, and a dollop of intrigue, fantasy lovers of all ages will devour this epic achievement and fall in love with the humanity of a ruthless assassin.